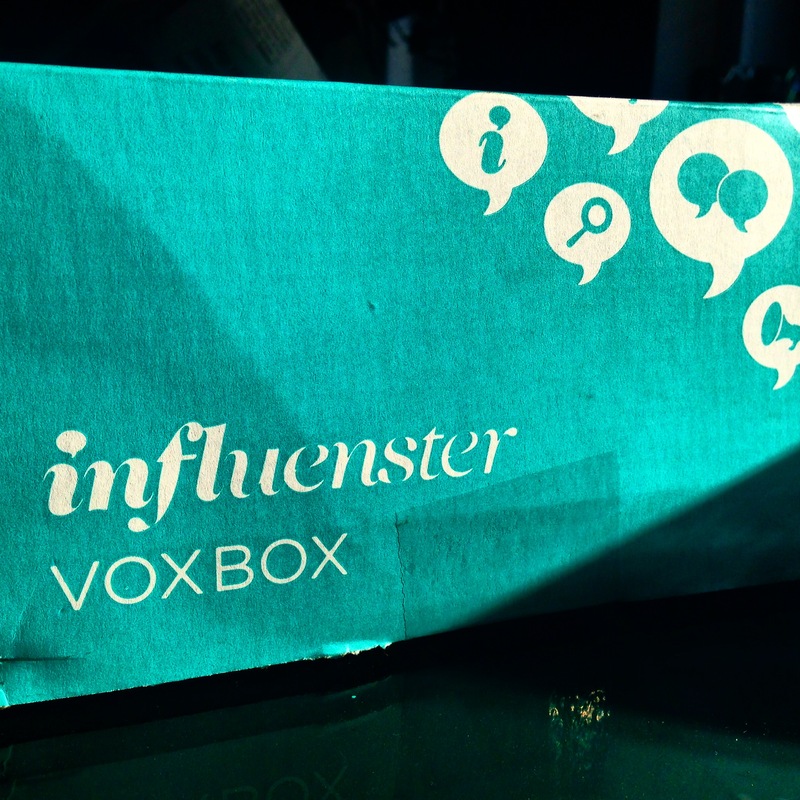 I was recently sent the best Influenster box yet – the VowVoxBox. This one was jam packed with stuff for people attending weddings or having your own. There were a few unusable products in it because I’ve already had my wedding… but so many other ones were excellent finds that I will continue to use… I’m going to be short and sweet here and just say, BUY SALLY HANSEN’S COMPLETE SALON MANICURE IN BARRACUDA IMMEDIATELY ($7.99)! I’m not always to fervent in my recommendations, so you know this one is good. 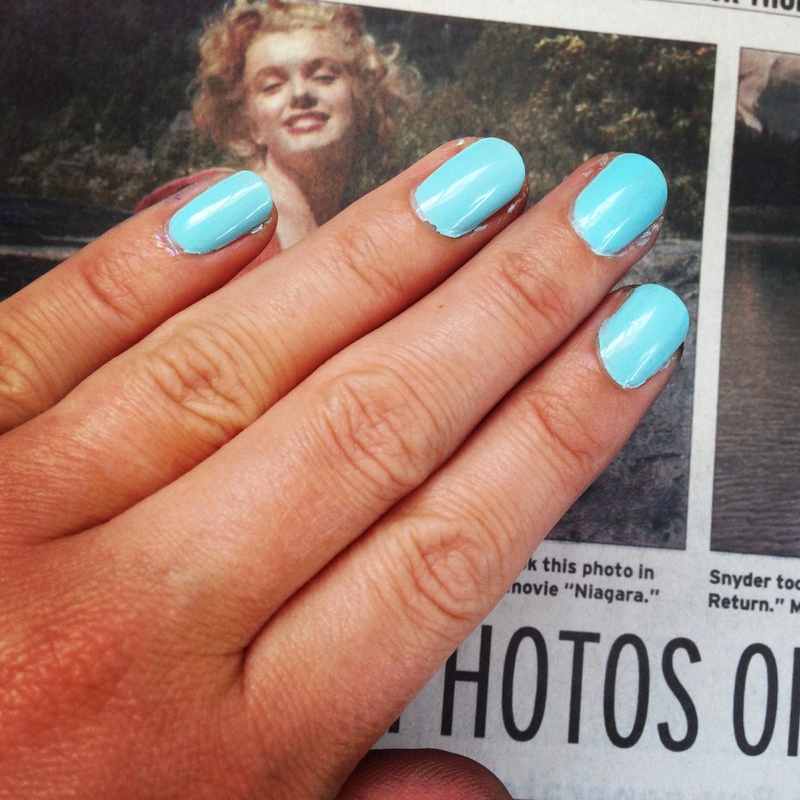 I was skeptical at first, but once I applied the polish it realized that it was a beautiful vibrant blue – exactly the polish I’ve been looking for forever. 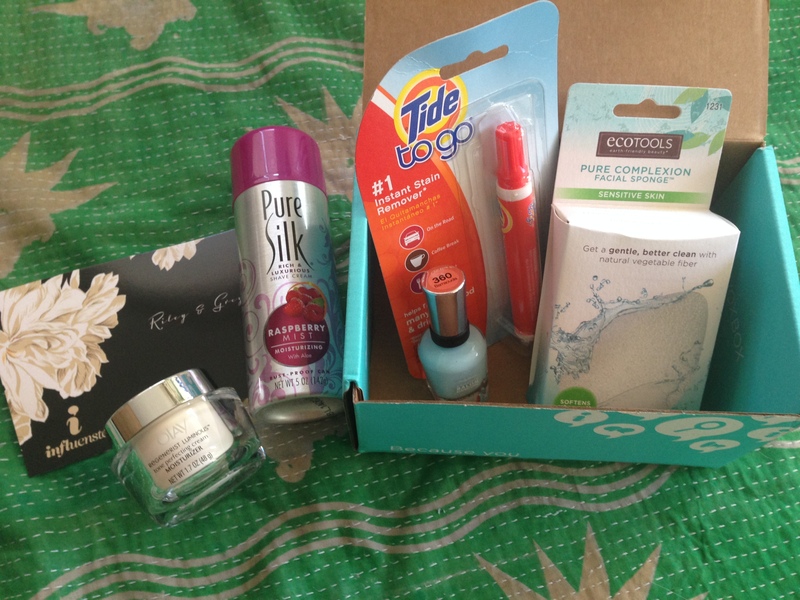 The package also included a few other products I’ve never tried, along with a few tried and true products like Tide to go and Pure Silk shaving cream. The Olay Regenerist Tone Perfecting Cream was a no-go for me because I’m on a pretty specific face cream regimen (I’m keeping it stored away until I need something new. It really IS very silky! Could I use it on my hands? ), but I gave the EcoTools Pure Complexion Facial Sponge ($5.99) a try and LOVED it! I’ve seen a few facial sponges lately, but this one so far has been the best because it’s for sensitive skin and doesn’t tear my skin apart. I brought it on vacation last week and it was a perfect alternative to a wash cloth. If you haven’t already, sign up for Influenster. All you have to do is answer a few questions about your interest and they’ll match you up with products to review. So far I’ve learned about so many great new products that I would never have otherwise tried! Thanks Influesnter! *Influesnter provided these products to me to try for free through the Influenster VowVoxBox program, I was not expected to give them positive reviews or recommend them if I didn’t believe they were good products.